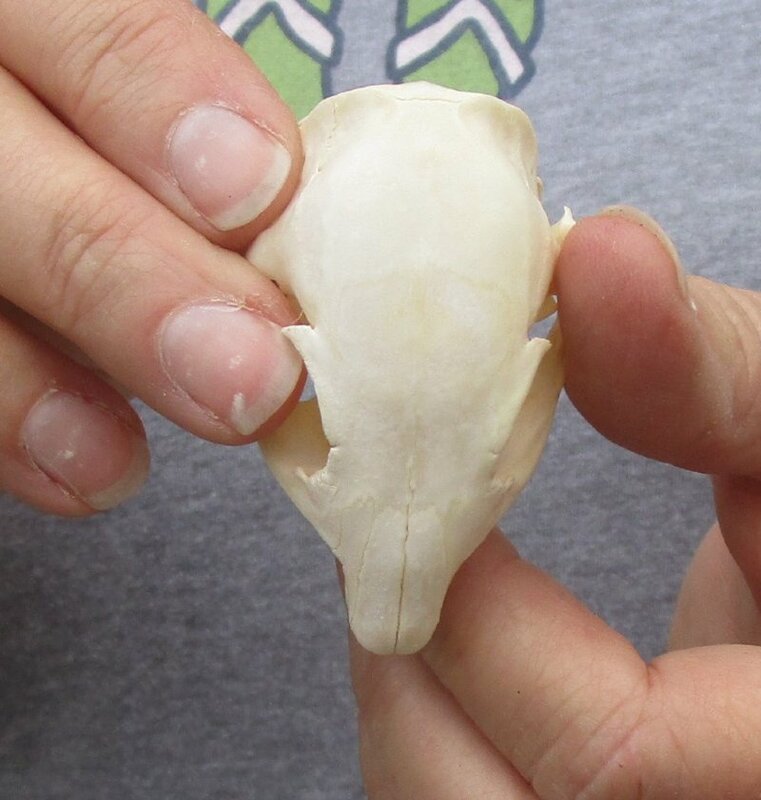 African Ground (Xerus inauris)) Squirrel skull for sale measuring approximately 2-1/4 inches long and 1-1/4 inches wide. Squirrels belong to family Sciuridae of small or medium-size rodents. 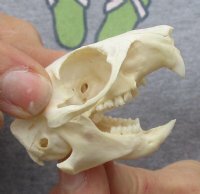 Squirrels live in almost every habitat from tropical rain forest to semiarid desert, avoiding only the high polar regions and the driest of deserts. 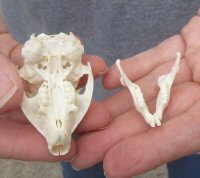 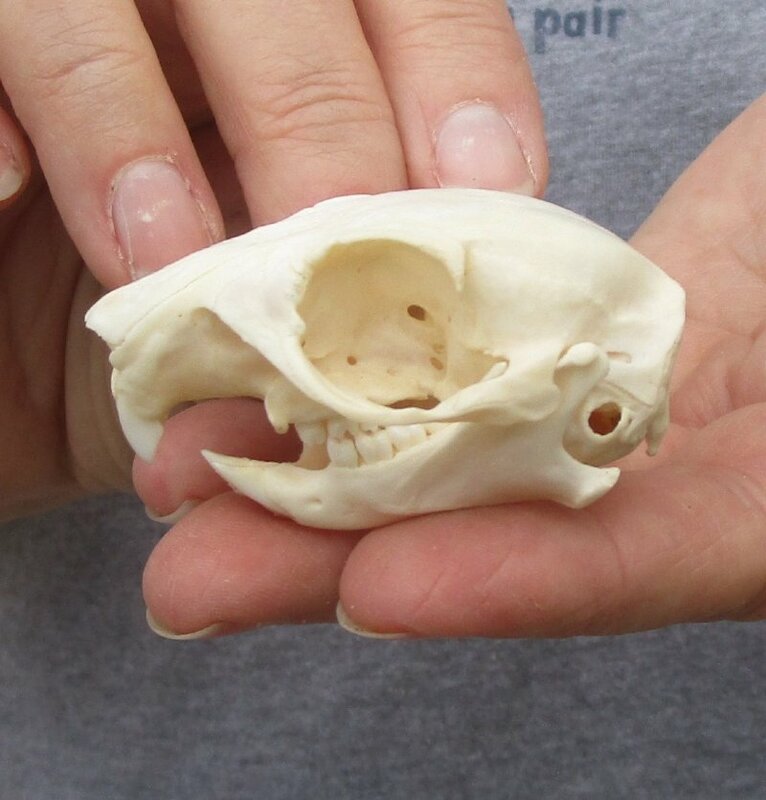 These skull are from wild squirrels and will have natural imperfections from the animal living in the wild. These skulls have been cleaned and are ready for display. 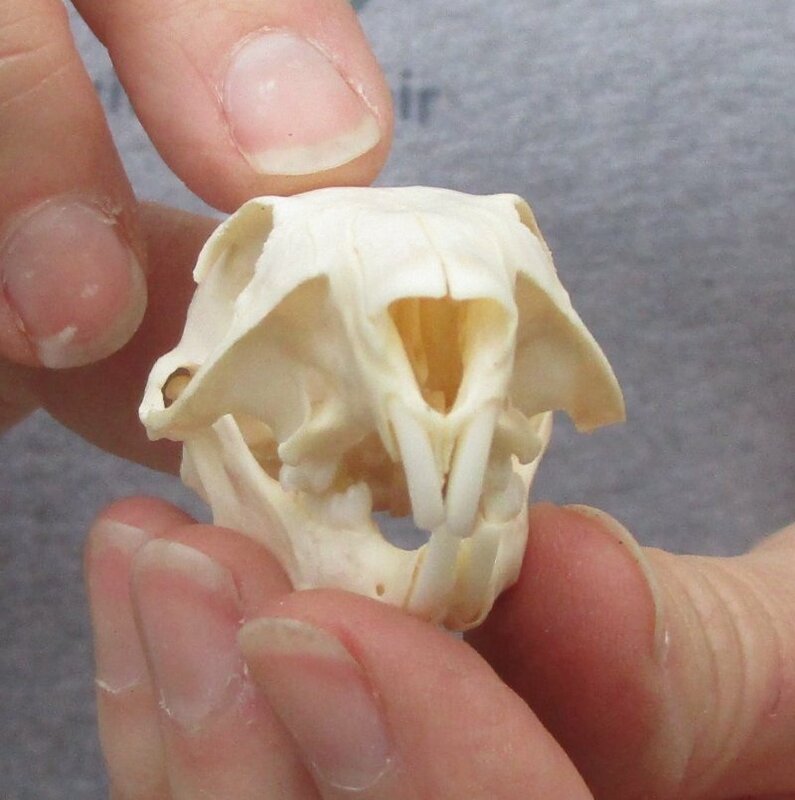 They may be off-white in color. You will receive the skull in the photos.